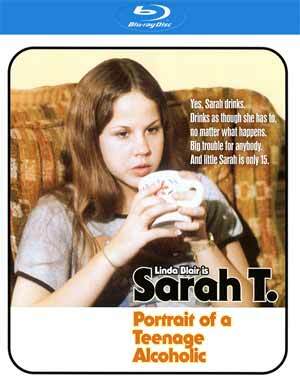 Plot Synopsis: Sarah Travis (LINDA BLAIR) is an average teenager who is introduced to drinking alcohol at local parties. As a means to cope with problems in her life, most notably her parents’ divorce, Sarah starts to drink regularly and tries to keep her addiction a secret, even from her boyfriend (MARK HAMILL). Eventually, Sarah’s increasingly severe drinking almost leads to tragedy, and she enters Alcoholics Anonymous, beginning an ongoing struggle to get sober and stay that way. Quick Hit Review: Honestly, the way this made-for-Tv started, I thought this was going to be some dated drama with a voice over that brought back memories from middle and high school of an educational short film the teacher would put on to pass 45-minutes. 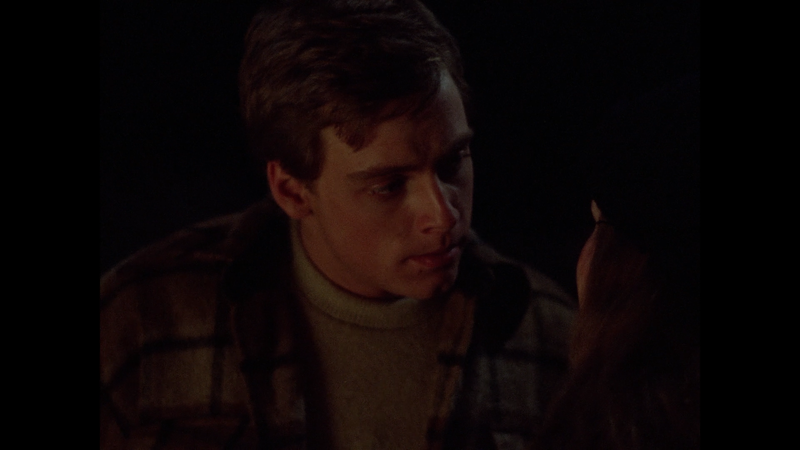 What we got instead was actually a rather well acted drama starring a post-Exorcist Linda Blair and a pre-Star Wars Mark Hamill, directed by a pre-Superman Richard Donner. Some of the dialogue isn’t the best but the plot was engaging enough culminating with a heart-breaking ending which did showcase Blair’s talents as an actress. However, if it weren’t any other collaborations, this movie, which originally aired on NBC back on February 11, 1975, has garnered a minor cult following and thanks to Shout Factory, makes its home video debut in high-definition no less. This is not an especially packed release, and no slip cover or reversible artwork, but this does include two new Interviews with Director Richard Donner and Producer David Levinson (19:30; HD) and Actress Linda Blair (16:53; HD), so pretty cool Shout was able to two three of the major contributors. There is also a Photo Gallery (4:01; HD). As I previously mentioned in my review, Shout Factory releases Sarah T onto Blu-ray where it is making its home video debut. The 1080p transfer, presented in the film’s original 1.33 full frame aspect ratio as it aired back in ’75, was scanned at 2K resolution from the original film elements. Colors actually look really vibrant especially for a TV movie from the 70s, skin tones have a natural appearance and outside of some minor bits of dust marks, looks great. The disc comes with a basic and serviceable DTS-HD Master Audio Mono track. This isn’t a rich movie to begin with and although it is fine, there were some moments where dialogue was on the tinny side but any music did come through with some good clarity. 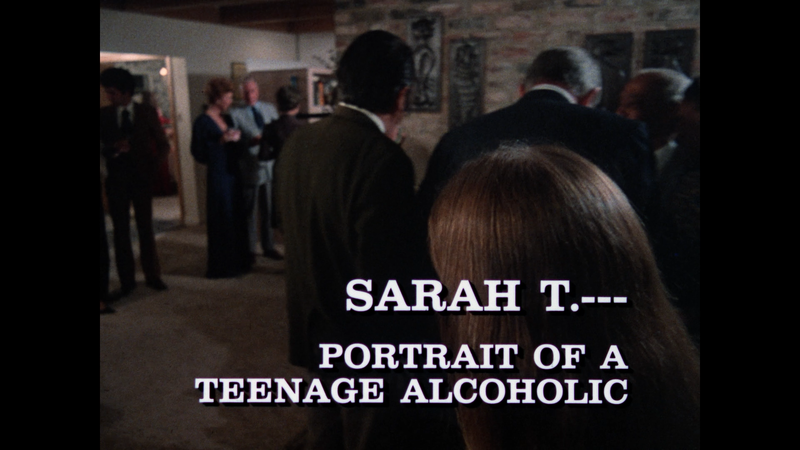 Overall, Sarah T.: Portrait of a Teenage Alcoholic is actually not a half bad little drama from 1975, one which has garnered a modest following over the years and the long wait is over as Shout Factory gives it its home video debut with a restored video transfer and two nice interviews.